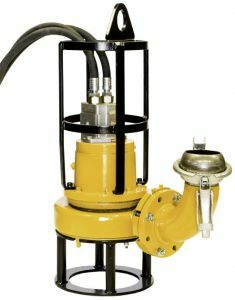 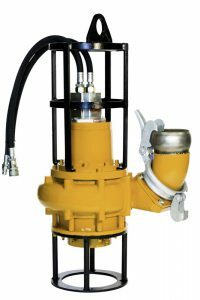 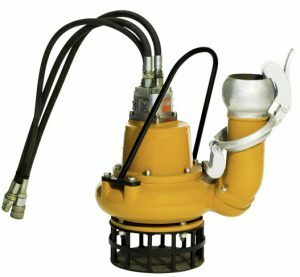 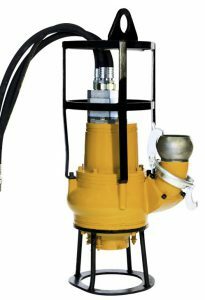 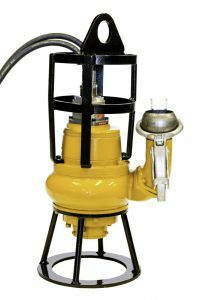 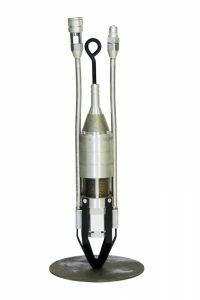 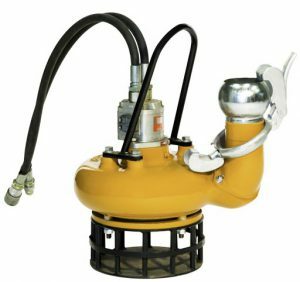 The HYDRAINER range of Hydraulic Submersible Pump Ends can operate on either open or closed loop hydraulic systems, from either Hydrainer Power Packs or most other sources of hydraulic power. 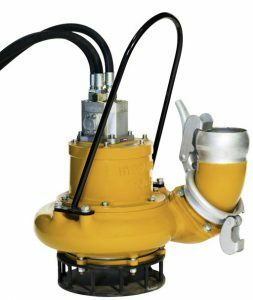 The pumps are available in a variety of materials to suit the application, with the larger units incorporating a silicon carbide mechanical seal running in an oil bath allowing the pump to operate on a “snore” condition for long periods. 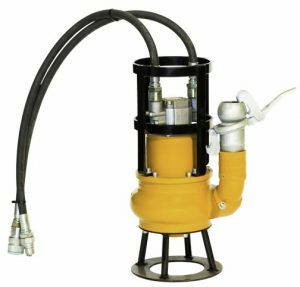 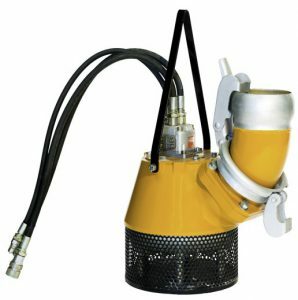 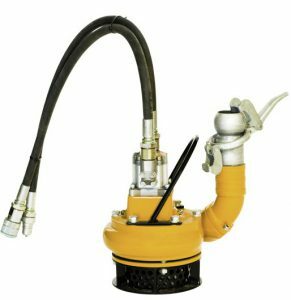 All pumps incorporate the HYDRAINER high pressure hydraulic oil seal and by the simple connection of additional hydraulic hose sets, can operate at distances of up to 100 metres from the power pack. 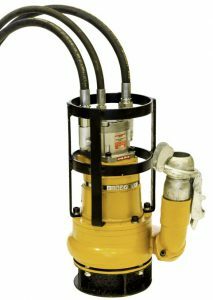 This provides a flexible, fuel efficient package, which is a major benefit over other pumping equipment. 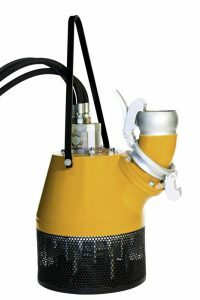 Click the image for further technical details.